This is a die-cut Reddy Kilowatt porcelain sign. 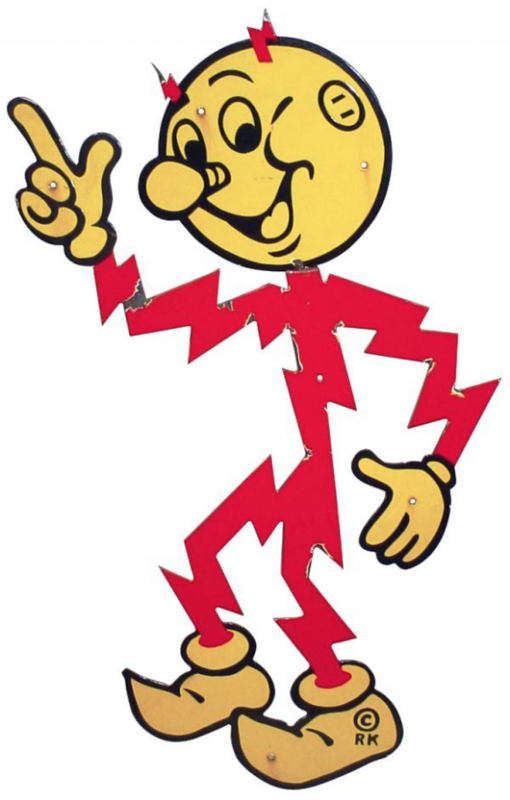 This particular Reddy Kilowatt sign is yellow and orange. It has no text and features orange lightning bolts for his body.